Uèebnice pro nový formát zkoušky Preliminary for Schools od roku 2020. 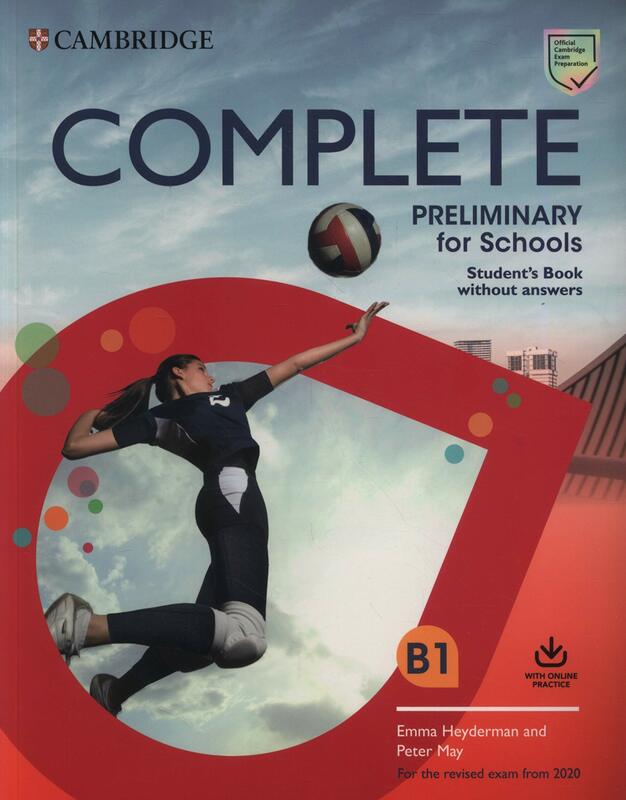 Complete Preliminary for Schools is the most thorough preparation for the revised B1 Preliminary for Schools. Complete is trusted by millions of candidates worldwide. This course allows you to maximise students' performance with the Complete approach to language development and exam training. It creates a stimulating learning environment with eye-catching images, easy-to-navigate units and fun topics. Students are able to build confidence through our unique understanding of the exam and insights from previous candidate performance. A unique exam journey using the Complete formula, through Exam advice and integrated exam practice, delivers successful and stress-free outcomes. • Vocabulary and Grammar reviews every two units track progress. • An enhanced Grammar reference is fully integrated with the content in the units to enable easy guidance. • Pronunciation sections help students develop their speaking skills. • A Writing bank demonstrates the process of exam writing tasks in detail allowing students to develop this key skill. • The Phrasal verb builder practises common phrasal verbs in context linked to exam topics.